Hornsby Junior Rugby Club | HJRUC welcomes all ages from 6 to 60 into a fun, safe and friendly environment. 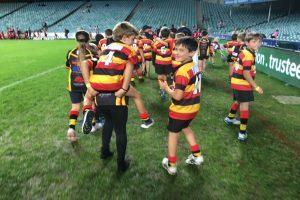 Participation and fun are the cornerstones of the Hornsby Junior Rugby Union Club philosophy. 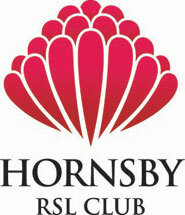 Hornsby Junior Rugby Union Club welcomes all ages from 6 to 60 into a fun, safe and friendly environment. 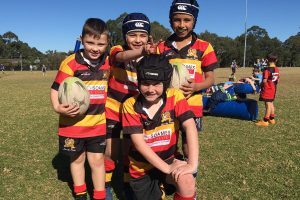 The Hornsby Junior Rugby Union Club has an equal playing time policy where every child receives equal time on the paddock, regardless of age, weight, height, ability or shoe size. The Hornsby Junior Rugby Union Club is your local family club. In order for the Club to fulfil its goals, it is essential that we provide a family oriented environment where mothers, brothers, sisters, grandparents and any other family member or friend are genuinely welcomed. 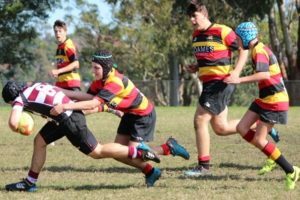 At the Hornsby Junior Rugby Union Club you can spend your entire rugby career at the one club, not having to change as you move from Juniors to Seniors. A major benefit of the close link with our seniors is that coaches and assistant coaches are often drawn from their ranks. The Seniors have an important role as mentors to the junior players as they come through the ranks. Everyone is welcome at the Hornsby Junior Rugby Union Club. Contact us if you are interested in playing in season 2019. Over 200 Players and Growing!